Last week, one of my co-worker celebrated her 23rd birthday. I made her those easy & delicious cupcakes for the occasion. We have this thing at the office that every birthday someone brings a sweet treat for everyone to share and enjoy at mid-afternoon break. I love this idea! 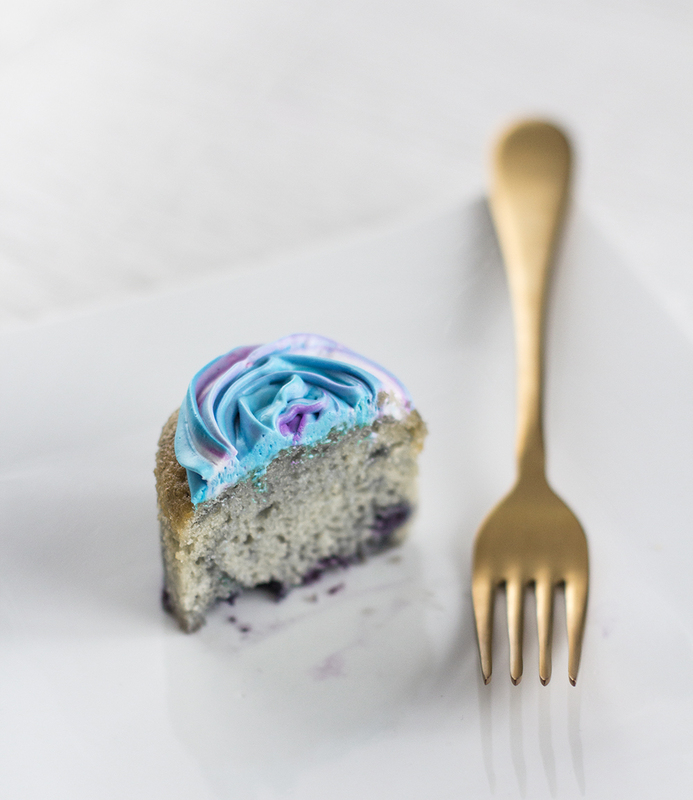 Taking 15 minutes in a day to celebrate a friend while enjoying a home-cooked dessert is not much of an effort! Since she’s very stylish and girly, I wanted to make cupcakes that reflect her style. A few onths ago, Wholeport sent me those hard muffin cups and I thought they’d be perfect for her. 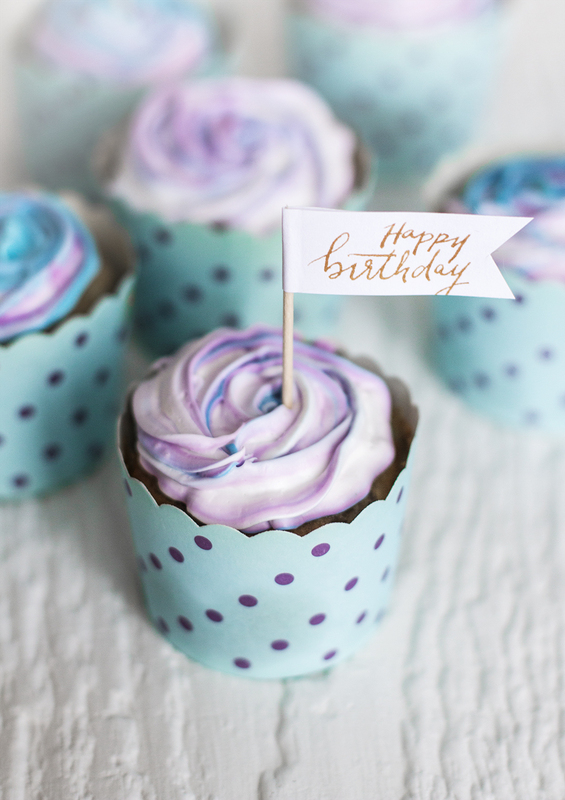 A simple blue and purple ombre icing and a few homemade flags matched the cute polka dot cups just fine! 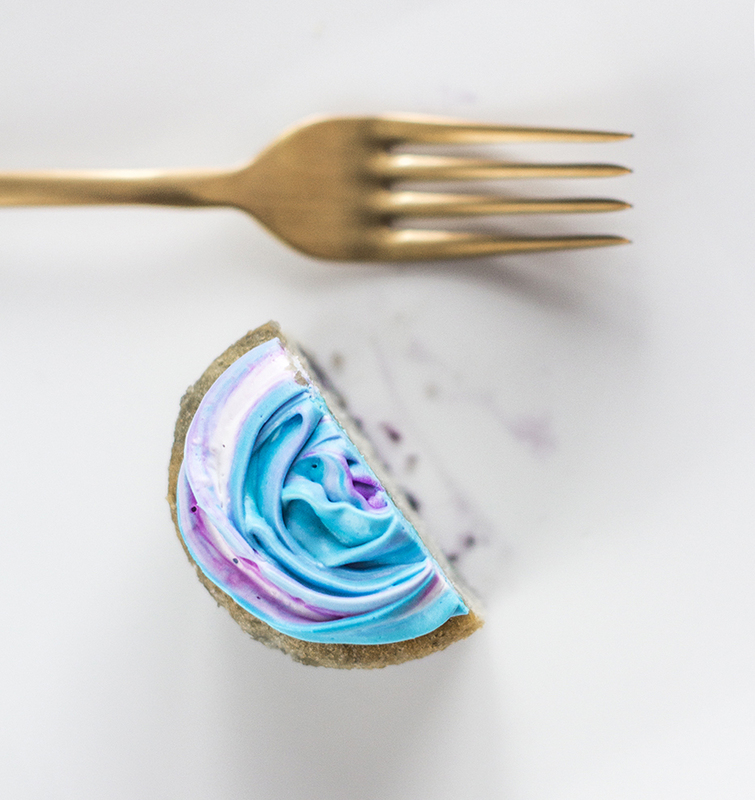 As simple as ABC, this recipe was created solely out of my love for white chocolate and blueberries. I already had those two ingredients at home, so I simply decided to add some (about a cup of each) to a store-bought white cake mix and bake it like instructed on the box (I figured those muffin cups need a little more baking time than ordinary paper liners). The berries and chocolate chips ended up ad the bottom of the cakes but they tasted like heaven anyway. Colleagues approved! I often get asked how I do this ombre icing that have been my signature on many cakes and cupcakes. I should do a tutorial but honestly it’s too easy to explain. 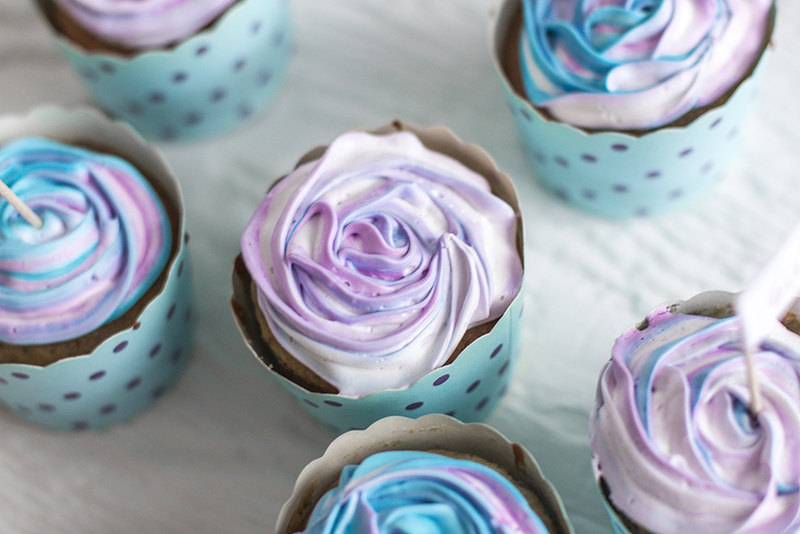 Simply prepare two or three small bowls of icing mixed with food colouring to get different shades. Then randomly fill an icing bag by alternating colours (using white with 2 colours gives great results). When pressing the icing out of the bag the colours will mix and you will get a nice ombre. Will you guys try this? Let me know if you do! &do take time to celebrate your friends, families and co-workers :) It’s always appreciated! Beau! et les cups sont juste WOW. ohhhh merci pour le truc ;) prochaine fois je me ferai pas avoir! Notify me of followup comments via e-mail. You can also <a href='http://coloursandbeyond.com/comment-subscriptions?srp=4240&srk=&sra=s&srsrc=f'>subscribe</a> without commenting.